John Greening was born on the banks of the River Thames and spent his early years in Kew, then moved to a house in Hounslow which was directly under the main flightpath to Heathrow (see NIGHTFLIGHTS), an experience which led to the recent collaboration with Penelope Shuttle and the 2016 collection, Heath. He studied at Swansea and for a year at the University of Mannheim where he spent more time teaching himself about English poetry than he did in studying German. While taking his MA at Exeter, he corresponded with Ted Hughes who managed to convince him that his poetry had some merit. He began to publish with journals such as Emma Tennant’s Bananas and South-West Review. He married Jane Woodland in 1978 and (after a spell as a part-time children’s conjuror) joined BBC Radio Three to work as Hans Keller’s Clerk, New Music. Keller gave him an empty office and let him spend much of his time writing. In 1979 the couple volunteered for VSO and worked for two years in Aswan, Upper Egypt, which was the focus of WESTERNERS, John Greening’s first collection. He revisits this time in the 2017 memoir, THREADING A DREAM. Upon their return, he taught Vietnamese Boat People in Scotland and was awarded a Scottish Arts Council Writer’s Bursary. He also wrote a play about Robert Louis Stevenson, which won Best New Play (the Ind Coop award) at the Edinburgh Festival. Since 1983, he has lived in ‘Huntingdonshire’ (technically Cambridgeshire) with his wife and two daughters, where for many years he taught English at Kimbolton School. Shortly after this, his second major collection The Tutankhamun Variations (following a pamphlet, WINTER JOURNEYS (1984)) appeared from Bloodaxe. 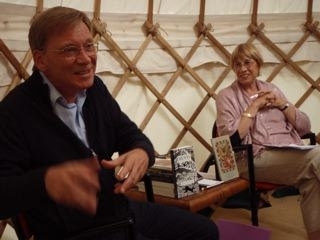 Since then, his poetry has been widely published and among other prizes he has been awarded the Bridport (judged by Roger Garfitt) in 1998 Otto Hahn in Huntingdonshire and in 2002 the TLS Centenary Prize for one of his recent Iceland poems. Other books followed: FOTHERINGHAY AND OTHER POEMS (1995), THE COASTAL PATH (1996), THE BOCASE STONE (1996), culminating in a ‘New and Selected’ from Rockingham in 1998: NIGHTFLIGHTS. More recently, he has published two long poems GASCOIGNE’S EGG (2000) and OMM SETY (2001)) and THE HOME KEY (Shoestring, 2003). He received an award from the Society of Authors to fund research into his next book, ICELAND SPAR, which is about his father’s wartime years in Iceland and an extended selection of his work was published in 2009: HUNTS: POEMS 1979-2009. In 2008 he received a Cholmondeley Award and in 2010 received a Hawthornden Fellowship and was made a Fellow of the English Association. Following a chapbook, KNOT, written while at Hawthornden Castle, John Greening's next collection, TO THE WAR POETS, appeared from Oxford Poets (Carcanet) in November 2013. John Greening has written many plays (one about the Lindbergh kidnap was produced in the USA in 2002) and has had short stories published in Peter Ackroyd’s PEN anthology and elsewhere. He recently produced studies of Yeats, the War Poets, Ted Hughes, Thomas Hardy, Edward Thomas and the Elizabethan Love Poets, all from Greenwich Exchange, who also produced his POETRY MASTERCLASS. A book about American poetry since 1963 remains unpublished. 2017 saw publication of his Greenwich Exchange edition of Geoffrey Grigson’s SELECTED POEMS. His encyclopaedic anthology of poems about composers, Accompanied Voices, appeared from Boydell Press in 2015, the same year as his landmark OUP edition of the First World War memoir, Undertones of War, which he was invited to edit by the daughter of the poet Edmund Blunden. 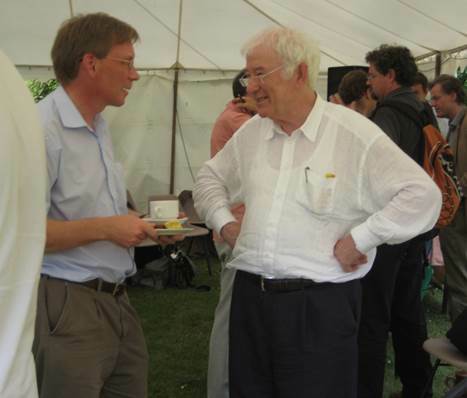 He lectured on Watkins at the 1999 Dylan Thomas Festival (and visited again in 2014), gave the 2001 Jon Silkin Memorial Lecture as part of the Indian King Festival and spoke on First World War Poets at the 2005 Ledbury Festival, where he also read with Penelope Shuttle in 2016, launching their collaboration, Heath. John Greening has appeared at many major poetry festivals including StAnza, Cheltenham, Torbay (he judged the last Torbay competition). In 2014 he shared the platform with Sir Andrew Motion, Sasha Dugdale and Stephen Romer at Kings Place, London, in the Poet in the City series, reading his translations from German war poets. In the same year the Rylands Library in Manchester exhibited a copy of To the War Poets alongside a corrected typescript of his verse letter to Edward Thomas as part of their First World War commemoration. In 2015 John Greening (along with Glyn Maxwell and other poets) was commissioned by Shakespeare’s Globe to write poems in response to John Donne and George Herbert at the Sam Wanamaker Playhouse. These he read on stage alongside actors Tim Pigott-Smith, Miranda Raison, Alex Jennings, Hattie Morahan. (http://www.shakespearesglobe.com/theatre/whats-on/concerts-by-candlelight/the-voice-and-the-echo). He was recently commissioned by Roderick Williams to write poems to accompany Schubert’s Schwanengesang. Jenny Agutter read them at the Globe and in New York. Subsequently, he provided texts for the composer Cecilia McDowall, which Williams has performed at the Middle Temple and around the country. His song-cycle, ‘Falls’ to music by Paul Mottram was premiered by the Dunedin Consort at the Wigmore Hall in June 2000, revived by the NYGB at Snape Maltings in 2015, and has been on tour in Scotland and Canada. In 2015 John Greening was invited to chair the Poetry School’s T.S.Eliot Prize Preview event at London’s Southbank Centre. For the past eleven years he has been asked by the Society of Authors to judge the Eric Gregory Awards for poets under thirty. In October 2015, he became Royal Literary Fund Writing Fellow at Newnham College, Cambridge for two years, and is now a lector for the RLF as part of their Reading Round scheme, and conducts author audio interviews for the RLF Writers Aloud podcast. He continues to give readings and lectures, on Edmund Blunden for the Harry Ransom Center, Texas in December 2017 (the lecture can be heard at https://liberalarts.utexas.edu/britishstudies/Lectures/Audio-Recordings.php.) and at Baylor University (the Charles G.Smith lecture) and Ohio University (Authors at Alden) in November 2018. He also read at the launch of Dennis O’Driscoll’s Collected Poems in Dublin – see https://goo.gl/photos/vrQqioSBh5jDm1XL9. John Greening’s most recent publication was the popular gift anthology Ten Poems about Sheds. His next full collection will be The Silence (Carcanet, 2019), which will be followed by a pamphlet featuring a sequence of sonnets about Crete, and there is a collaboration of ‘postcard poems’ with Stuart Henson due from Red Squirrel Press in 2020. John Greening’s most recent publications are the popular gift anthology Ten Poems about Sheds (2018) and a fine press limited edition, Achill Island Tagebuch (2019) from Red Fox Press. These 24 sonnets were written during a stay at the Heinrich Böll Cottage, a writers’ retreat on Achill, western Ireland. His next full collection will be The Silence (Carcanet, June, 2019), which will be followed in the autumn by a pamphlet from New Walk: Europa’s Flight. There is a collaboration of ‘postcard poems’ with Stuart Henson due from Red Squirrel Press in 2020 and in the same year Shoestring are bringing out Vapour Trails, a collection of reviews and essays about poetry. John is currently editing an anthology of Country House poems with Kevin Gardner, and will shortly begin work on a new selection of the poetry of Iain Crichton Smith for Carcanet.